One of the less common forms of acne affects the scalp, most often just along the hairline. In severe cases, regular outbreaks can cause significant scarring that can even result in some hair loss. While it isn’t as noticeable as facial or neck acne, that doesn’t mean it isn’t as big a problem to be dealing with. Those that do suffer with this skin problem will know how painful it can become. And in summer months when you sweat more, it can become very uncomfortable indeed. 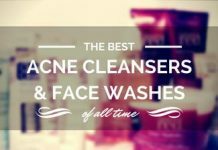 You also end up in a catch 22 situation where personal hygiene requires a certain routine, but those very products will often just make your acne worse. The good news is that the underlying causes of scalp acne are very similar to those of the face. And finding the right prevention is going to be just as important as finding an effective treatment product to get rid of the pimples. To help you get set up with a personal cleansing routine that limits such outbreaks, we have researched the most popular products on the market. With a simple change in shampoo to suit your skin and hair type you can make a big difference when it comes to your skin’s health. If you're in a rush, below are the Best Shampoo for Scalp Acne, hands down! Keeva is a relatively new brand in the market. But it’s progressively gaining traction because of its flagship anti-acne products. This organic shampoo from this promising brand gives an all-natural powerful boost to your hair and can help minimizing scalp acne problems. Hydrates and restores the moisture levels of your hair revitalizes your hair and scalp. Purest and potent organic ingredients are used. Free from parabens and other harsh chemicals, making it suitable for acne-prone scalp. Apart from acne, is also suits users suffering from psoriasis. Cost-effective. A good amount of shampoo for the price. Doesn’t work well for dandruff. If that’s your main concern, there are other better options. Light smell, but not floral as you would expect from an all natural shampoo. Christina Moss Naturals Organic Shampoo gives you an all-natural solution for healthy and beautiful hair. It is safe for all type of hair and improves the condition with proven results. The shampoo is thick which means you don’t have to take a large amount to slather it on your hair. The best thing about Christina Moss shampoo is, it is very soothing and kind for dry scalp. If you have any record of allergies, irritation or dryness with preservation and fragrances used in other shampoos and conditioners, then the good news is this shampoo is 100% free from all chemicals. Though, your hair will inevitably feel great after using this organic shampoo, it can make your scalp a bit dried. This can happen due to a lot of reasons, mainly due to the myriad of ingredients used. If you feel such a reaction, it is best to discontinue using it. The purpose of this particular product is to remove any excess oil buildup that you currently have on your scalp. By doing this, it will reduce the chances of your follicles becoming blocked which will, ultimately, reduce the chances of scalp acne. It will also help minimize dryness on your scalp, which is essential for reducing the development of scalp acne. It is actually remarkably good at what it does. It will, in most cases, get rid of your scalp acne pretty sharpish. Many people, although this is not related to acne, find that their hair is a lot healthier after using the Sea Breeze Astringent too. It is remarkably simple to use, all you need to do is massage it into your scalp and you should be good to go. The major downside to this product is the fact that it will only work if your scalp acne is caused by excess oil or dry skin buildup. If your acne is for any other reason, then this product is not going to be one that you are going to get benefit from. This is pure Jojoba Oil. Take it as a hair tonic, if not shampoo. Anybody who has ever looked into clearing up their acne will know that this is going to do a wonderful job. Jojoba has a number of different benefits on the scalp. For starters; it will provide a healthy dose of nutrients which will ensure that your scalp is able to repair itself properly and keep itself moisturized. However, its main benefit for acne is the fact that this will help reduce the inflammation which acne causes which will, ultimately, lead to the acne disappearing. It works, and it works remarkably well. The vast majority of people are going to get at least some benefit from this Jojoba Oil and, from what I can tell, it is one of the purest oils out there on the market at the moment. It is not going to get rid of the root cause of your acne. It will reduce the acne, yes, but it will not get rid of whatever is causing your acne. It is, therefore, your job to tackle that in a different way. Now, this is not a shampoo built for acne. But that doesn’t mean it won’t help to get rid of scalp acne. Free & Clear Shampoo has been designed for ‘sensitive scalps’. The vast majority of people who suffer from scalp acne do so because their scalp becomes irritated by their shampoo. This is not going to cause that problem at all. As mentioned previously, this is going to reduce the symptoms of your acne simply because it is very gentle to the scalp. In addition to this, it will also remove any excess oil build up on the scalp. It also helps preventing pore clogging on your scalp, which is essential for preventing acne. 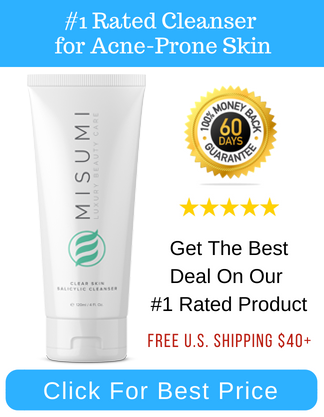 This is only going to work on those who are suffering from acne due to the sensitive skin. Anybody else will get next-to-no benefit from using this shampoo. This is the first acne treatment on this list to come from a ‘big name’. 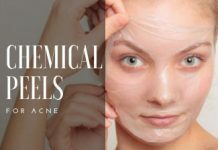 It is also the first treatment on this list to include salicylic acid, which, as you may well know, is brilliant at fighting acne. This particular product will drastically reduce all of that crusty build-up which occurs when you are suffering from scalp acne. In addition to this, it will provide you with a great deal of relief when it comes to itching of the scalp. In short; it is going to be brilliant for your acne. This is a very effective treatment. Neutrogena have gone of their way to ensure that this has the maximum amount of benefit to the scalp. There are no ‘added ingredients’ which can irritate the condition e.g. added color and preservatives. This makes it fantastic to use. You should check if you’re allergic to salicylic acid. Over time, you may also find that it starts to irritate your scalp a little bit more. At this point you are going to need to stop using it. In essence, even if it ends up clearing your scalp acne, you may not want to use it forever. Don’t get confused. This is a shampoo that comes in a soap bar format. Sal3 Shampoo is formed of salicylic acid and sulphur, both are brilliant for combatting acne. It is simple to use too. All you need to do is rub the bar into your hair and you should be good to go. It is designed to combat dandruff which, when fought properly, will stop your hair follicles becoming clogged and the acne from forming. It works and it is dreadfully simple to use too. The fact that it comes in a bar form also means that it lasts a lot longer. I know that there are some people out there who overuse liquid shampoo, which can get very expensive. This is only going to work if your scalp acne is caused by either dry skin or oil. Yes, it will help to keep acne at bay even if the acne is not caused by this, but it is only going to be so effective at that. There are, of course, some people out there who also do not like to use their shampoo in ‘bar’ form. So this is how I’ve strived to end your quest for the best shampoo for scalp acne. Try incorporating one of these shampoos in your ablutions and you’ll hopefully see some definite improvement in your acne condition. If you know of any other good shampoo for scalp acne, or have other questions related to this blog post, let me know in the comments below. Can you also suggest some Indian soaps for backacne? I’m not sure if I can recommend a particular Indian soap. But this blog post will certainly give you some great ideas. 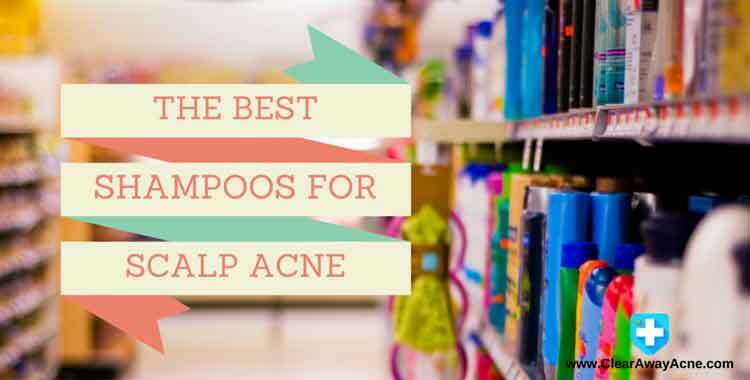 It includes the best anti-acne soaps that you can buy from anywhere in the world. Best if you could talk about this with your Derm, being dependent on anti-biotics is certainly not a desirable situation. Have you tried any of these shampoos we’ve shared in this post? I do suffer from dandruff, though my scalp acne is primarily caused by excessive oil. I also have an extremely sensitive nose, (as in, products most people consider scentless or low scent can reek to me. It makes finding suitable products very difficult for me) so, do you have any suggestions? Also, while i know this article is about shampoos, would you happen to know of any bodywashes that are good for acne? My bodily acne is less frequent than on my scalp, but when i’m stressed (or sick) i can get breakouts, especially on my back.